Be the first to share your favorite memory, photo or story of Vester. This memorial page is dedicated for family, friends and future generations to celebrate the life of their loved one. It is with great sadness that the family of Vester Chandler announce his passing. 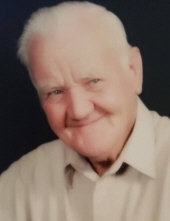 Vester Chandler, resident of Belle Chasse, Louisiana, died on Sunday, March 31, 2019 at the age of 83. He is survived by his devoted wife, Virginia Chandler; son, Norman Chandler; daughter, Bridget Chandler; daughter, Debbie Chandler; daughter, Teresa Chandler; and son, Kerry Chandler. He also leaves behind ten grandchildren, and sixteen great-grandchildren. He is predeceased by his eldest son, Wesley Chandler. Vester was born on March 28, 1936 in Carol County, Georgia. He moved to Plaquemines Parish in December of 1979 to pursue a career in construction and carpentry. He lent his skill and trade to build a lot of what exists in the parish today. He was a lover of Pepsi Cola and Red Man Chewing Tobacco; and he was a New Orleans Saints fan unless it was an Atlanta Falcon matchup. Vester was a loving and caring husband, father, grandfather, and a very proud great-grandfather. His favorite time was any time spent with his family. He will be fondly remembered and forever missed by all of his loved ones. A prayer service will be held at Consolation Baptist Church in Whitesburg, Georgia for immediate family. The Chandler family's Pastor and long time friend, Reverend C.E. Wilkie, will lead the family in prayer. You may share your thoughts and condolences online at www.hightowersmemorial.com.Hightower’s Memorial Chapel, Douglasville, GA has charge of the arrangements. 770-489-2818. To send flowers or a remembrance gift to the family of Vester Chandler, please visit our Tribute Store. "Email Address" would like to share the life celebration of Vester Chandler. Click on the "link" to go to share a favorite memory or leave a condolence message for the family.